Take the classic marshmallow, chocolate and graham cracker treat up a notch or two with these 18 delicious S’mores Recipes. You’ll love these dessert ideas! Who knew you could make s’mores so many different ways? 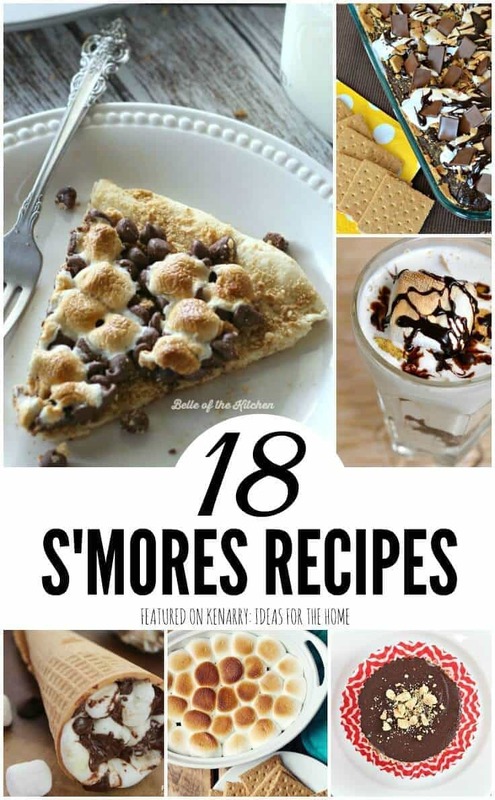 This collection of 18 s’mores recipes includes ideas for cakes, cupcakes, bars, milkshakes, smoothies and even popcorn! 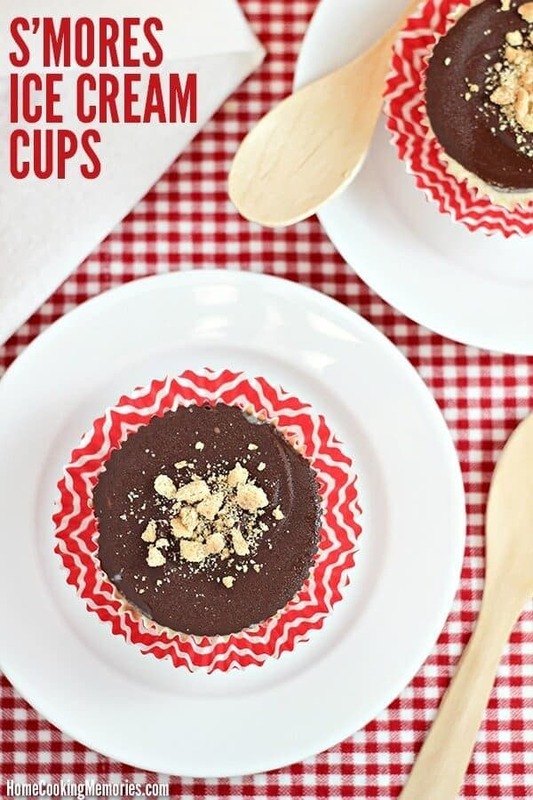 These desserts are perfect for summer, National S’mores Day or any time of the year. Did you know there is a National S’mores Day? Me neither! Now THAT is a holiday we ought to be celebrating, don’t you think? 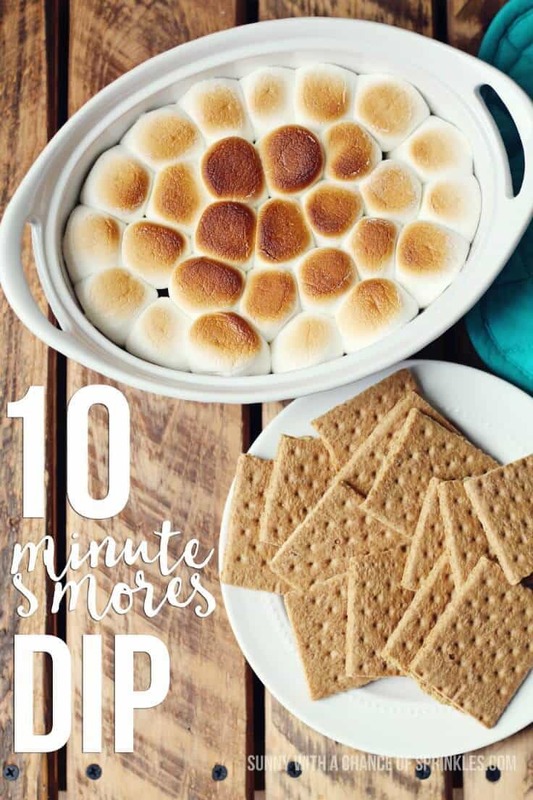 It’s held annually on August 10, so the collection of s’mores recipes we’re sharing today is just in time to help you with your planning. We’ve got 18 different ideas you can try over the next few weeks, then pick your favorite when the big day rolls around. We all know s’mores are typically a fun summer treat to enjoy by a campfire. But why limit yourself to just putting a melted marshmallow on a chocolate bar between two pieces of graham cracker? 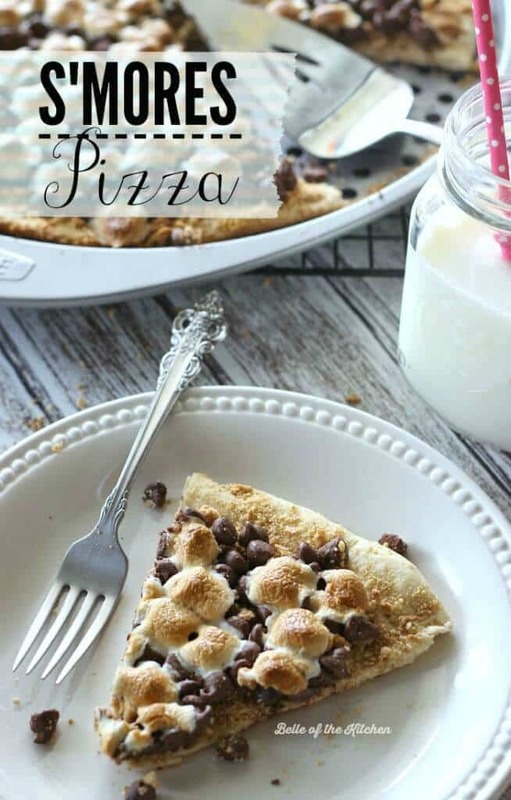 This collection of s’mores recipes includes s’mores chocolate fudge cake, s’mores dip, s’mores cupcakes, s’mores bars, s’mores shakes and smoothies. 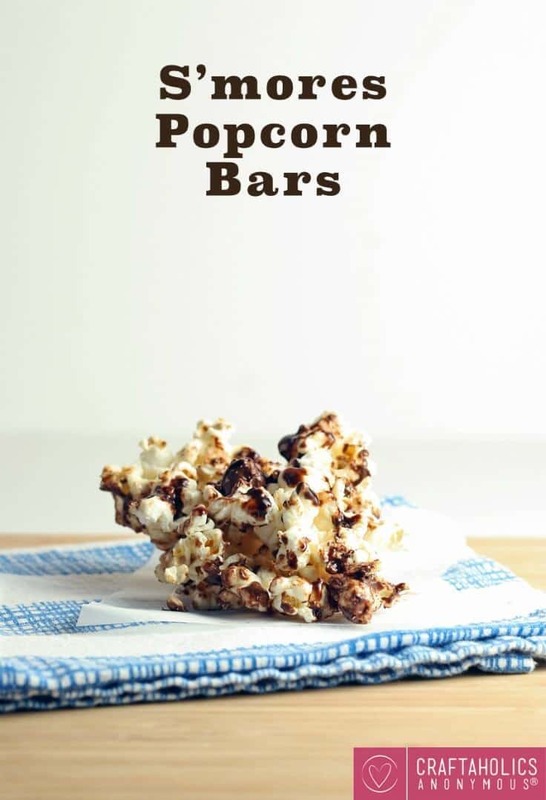 There are even two recipes for s’mores popcorn! The biggest challenge you’re going to have today is choosing which of these delicious s’mores recipes to try first. To get the actual recipes, just click on the links and you’ll be whisked away to the original source. Be sure to pin or share from there if you want to save any of the individual s’mores recipes for later. There’s a large graphic at the very end of the post you can use to pin, save or share the entire collection. We’d love it if you did!